The Citizen Advocacy Trust of Australia is an ancillary trust governed by its trustee company, Citizen Advocacy Australia. The Trust (ABN 96 919 255 756) has DGR status, and Citizen Advocacy Australia (ACN 114 532 839) has tax exemption. Citizen Advocacy Australia is registered with ASIC, ACNC and the Australian Tax Office. It also has registration to fund raise in NSW, Victoria and Queensland. It is able to fund raise elsewhere under certain conditions (within certain amounts). The (unpaid) Board currently comprises 6 people (Joan Cooney is to be added below) who live across 4 Australian States and meet monthly as a Board (via Skype) with additional meetings for Committees and annual strategic planning. The Board has 2 Committees: The Fund Raising committee and the Grants Committee. Each committee is chaired by a board member and provides regular reports to the Board.The Trust has received in the past (with much appreciation and thanks) legal support from Freehills and Auditing support from PKF then BDO (Sydney). 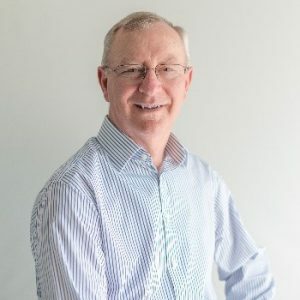 Who is on the Board of Citizen Advocacy Australia? John Armstrong has been involved in Citizen Advocacy since the late eighties. He served as a a citizen advocate/guardian for a gentleman for nine years and was a board member and Chairperson of Citizen Advocacy Sunbury and Districts until taking up residence in Sydney in 2003. He is an independent consultant and trainer specialising in Social Role Valorisation and PASSING (the evaluation tool based on SRV) having trained with Dr Wolfensberger at Syracuse University; the originator of Citizen Advocacy. John is often called upon to lead CAPE evaluations or mentor new CAPE Team Leaders and provide training to CA coordinators, advocates and board members as requested. He does these activities quite separately from his activities with the Trust. John, with Barbara Page-Hanify and Kelli Haynes were the founders of CAA and the Citizen Advocacy Trust of Australia in 2005. Heather Hindle joined the Board as a Director in 2010 and has held the position of secretary since 2011. After having a family she studied at Monash University and then worked to establish the first group homes in Victoria for children born with multiple disabilities as a result of rubella. Heather has been involved with Citizen Advocacy since 1986 when she accepted a part time position in the first Victorian program. She was instrumental in developing further programs in Victoria while working at the Citizen Advocacy Victorian Resource Unit. In 1998 Heather moved to Sydney to work at the Citizen Advocacy NSW Association until it was defunded in 2001. She then worked at the NSW Health Care Complaints Commission as a Resolution Officer until her return to Victoria in 2009. Heather has supported a woman with an intellectual disability since 1988 and assisted her son, who has Down syndrome, to make the transition to live independently. Heather’s experiences have convinced her that the most important thing in a person’s life is to be personally well known and to have a long term supporter in your corner. A citizen advocate can do just that. 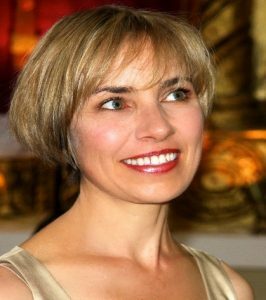 Christine Venner-Westaway first became a member of the Board in 2009, in 2012 she stepped down and then returned in 2014. During that entire period and to the present day she is a valued member of the Trust’s Grants Committee. Christine brings to the Board twenty five year’s worth of working knowledge and experience in promoting and protecting the needs, rights and lives of the most vulnerable people with disability. 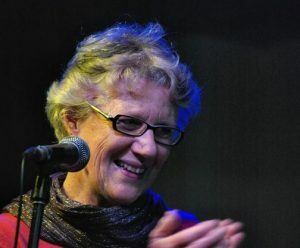 For ten years, under the umbrella of Queensland Advocacy Incorporated, she advocated for the closure of institutions. For the last fifteen years she has focused on assisting families to vision and plan for meaningful, inclusive lives for their sons/daughters/siblings and how to safeguard those efforts, when they are gone or lose the various capacities to do so. She resides in Brisbane, Queensland. Kelli Haynes, has worked as an occupational therapist, support worker, and manager assisting people with intellectual disability, health issues, physical disability and psychosocial disability; she is conducting research in this area. For the last few years she has worked in education in social justice for people with disabilities. She is a member of Foundations Forum, which runs Social Role Valorization events. Kelli is an advocate for her father who has an acquired brain injury. 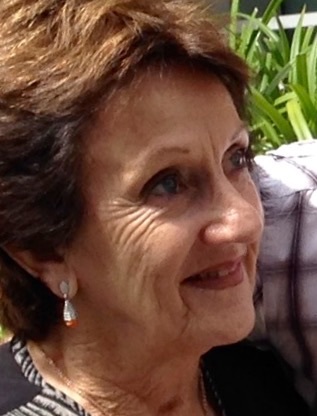 Miriam Perkins’ involvement with Citizen Advocacy, began in 1989, with Citizen Advocacy WA, as it was then known, now Citizen Advocacy Perth West. In 1993, she was one of four who worked towards the Incorporation of a new Citizen Advocacy program in the eastern suburbs of Perth, culminating in 1995. During this time, Miriam held the positions of Administrator and Co-ordinator and witnessed citizen advocates at their potent best – the life-saving words of a citizen advocate to the medical staff in the corridors of an hospital, when hearing ‘we don’t need to try too hard’, and the life-changing plan for a citizen advocate’s 55 year old protege, upon his release from five years in prison, to live independently in the community, with the advocate’s support. This work continued until the Federal Government withdrew its funding in 2004, without notice or warning. For the following 11 years, Miriam was one of a core group of supporters who worked tirelessly to maintain the work of Citizen Advocacy Eastern Suburbs. Regrettably, in 2015, this was no longer tenable, and the program closed permanently. This was a very sad end to her 26 years with Citizen Advocacy. Now, as a Trustee with the Citizen Advocacy Trust of Australia, Miriam is able to contribute towards this life-changing work in another capacity. Miriam is married with an adult daughter and son, and lives in Perth, WA. Our Patron is Barbara Page-Hanify. Barbara has worked as a therapist for many years with children and adults with intellectual and multiple disabilities, developing new services and instituting new forms of professional education. As Senior Therapist in a large organization, she developed health and therapy services and led the moves to community accommodation and employment. 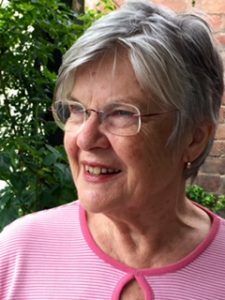 Barbara helped establish Citizen Advocacy in NSW, and as State Coordinator was instrumental in developing new Programmes across the state and was a major influence of Citizen Advocacy practice across Australia. 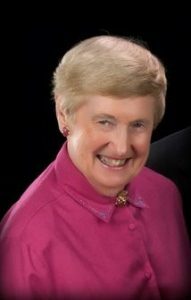 She also served as Chair of the Citizen Advocacy State Office. Barbara has also been a citizen advocate for well over 20 years.